The girl groups are back, but this time we have a different group and the first time that we can use a name that is arguably one of top ten important musical figures of the 1960’s; Berry Gordy. I have been eagerly awaiting what I have felt was the real backbone of 1960’s American music, the Motown scene, and here we are at our first number one from that label. I’ll warn you also, if you have no interest in this genre of music, a lot of what is coming soon will have no interest for you. Seriously, Motown is important not just to this series but to music in general. Gordy would found Tamla Records (this was the name before he renamed it Motown) and would sign the Matadors as his first act. 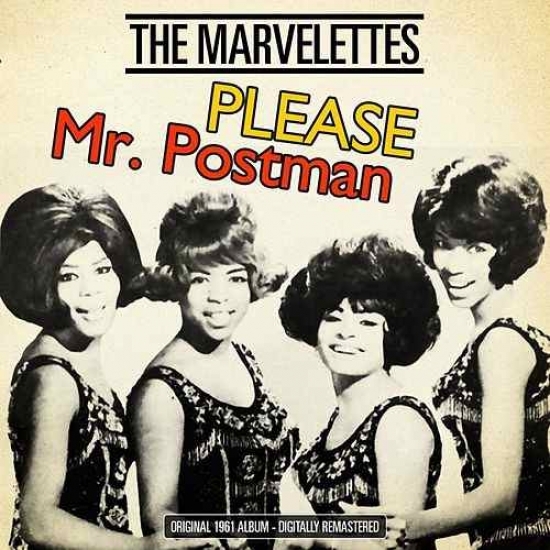 That group, who would become the Miracles, would score the first number one on the R&B Chart for the label with “Shop Around” in 1960, but it was the Marvelettes who would strike first with the top slot on the Hot 100, with “Please Mr. Postman”, a song where the female lead is looking for a letter from her beau. Now those of you under twenty who are reading this (and thank you by the way, and I assume we are related) might be wondering what a postman is (it’s the mailman), and if this is read after 2035, chances are you won’t even know what that is, so lets just say that the she is eagerly awaiting an e-mail but begging her internet server as opposed to the United States Postal Service. This would be the first and only number one for the Marvelettes, but were far from the end of their run. The group would have a series of hits throughout the 60’s but it was their success that helped Motown in general and set the stage for a revolution from the Motor City. Historically, the song would also mark the first number one as a songwriter for Brian Holland, who would help rework the song. Holland would of course be a part of the famed songwriting team of Holland-Dozier-Holland, who will become a regular occurrence through this series. Also worth noting was one of the session drummers on the song, who you may have heard of, Marvin Gaye, who will also make a few appearances in this document. Other Notable Songs that charted but did not go to number one in this time period: December 11, 1961 – December 17, 1961. I just realized that Jamie Foxx has a six-degree thing with number one hits of 1961. Foxx played the lead in the “Ray” where he won the Academy Award and he later played Curtis Taylor, the Berry Gordy knockoff in Dreamgirls. Remind me later that I have a rant on Beyonce for agreeing to do this film. Don’t worry. Like Elvis Presley and the Beatles, there is nothing that I can possibly write about that hasn’t been discussed ad nauseam so this won’t be a Motown tribute anthology. Depending on what day you ask them, Pharell Williams and Robin Thicke aren’t aware of Gaye.